Several behind the scenes photos from 20th Century Fox today via Empire. 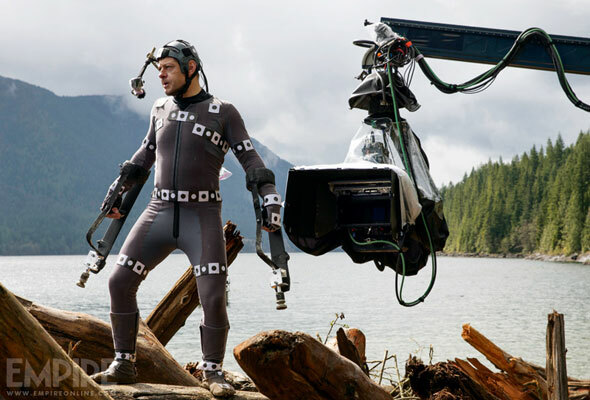 The first is Andy Serkis at work in his mo-cap suit playing the ape Caesar in “Dawn of the Planet of the Apes”. 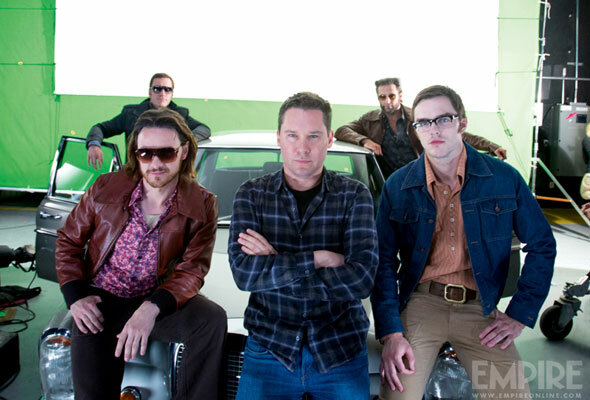 The second is of Bryan Singer and some of the cast trying to look 1970s cool on the set of “X-Men: Days of Future Past”.